In 1989 Andy founded the WoodstockAnimal Rights Movement, or WARM. A grassroots advocacy group active in the Mid-Hudson Valley region of New York State, WARM works in multiple areas including cruelty-free product awareness, anti-hunting efforts, and educational outreach. WARM was a member of the former group NYSCA, the New York State Coalition of Animals. After the inception of WARM, Andy opened the WARM Store, the country’s very first Vegan, Cruelty-Free, Animal Rights store located in the heart of Woodstock. 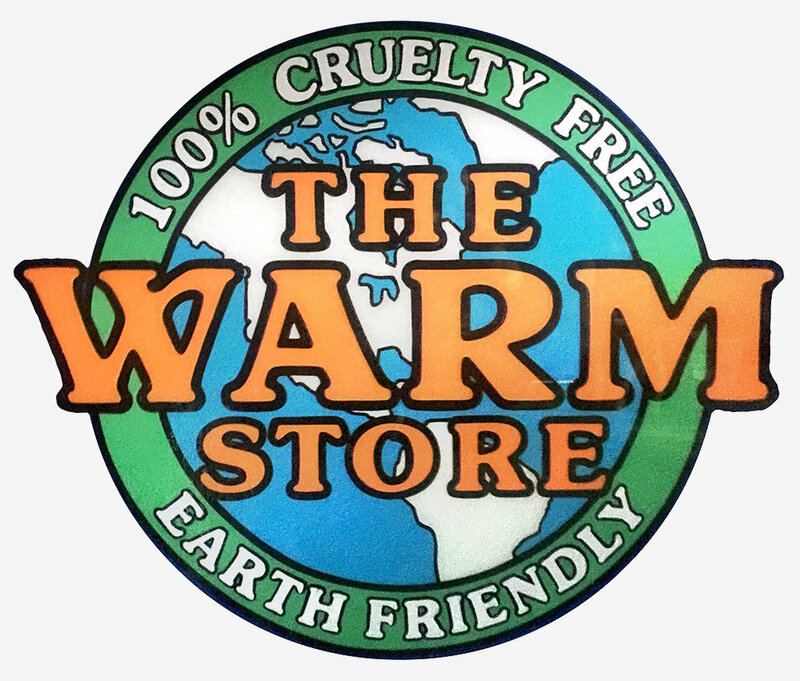 For eight years the WARM Store sold Vegan cruelty-free products and educated consumers about a more compassionate way of living. The store served as a hub for activists, attracting visitors from all over the tri-state area, and went national when their mail order service was launched. I feel very fortunate to have been involved in the Animal Rights (AR) movement since the early days. In 1989, I formed a group in Woodstock, NY, called WARM (Woodstock Animal Rights Movement). For a few years prior to starting WARM, I had been an avid follower and contributor to PETA and other national groups that were gaining popularity at that time. Some of the many inspirational leaders and organizations at the time included: Ingrid Newkirk and Alex Pacheco (PETA), the Fund for Animals with Cleveland Amory, Friends of Animals, Neal Barnard (PCRM), Gary Francione (professor of AR Law at Rutgers and director of the first AR legal clinic at his school), and Dr Michael Klaper (medical doctor, author of “Vegan Nutrition” and “Pregnancy, Children and the Vegan Diet”, lecturer, and one of the very few ethical Vegan doctors at the time). To add some perspective to all this, “Animal Liberation” (by Peter Singer) was published in 1975. PETA was formed in 1980 and a year later, PETA conducted an undercover investigation inside a primate research lab at the Institute of Behavioral Research in Silver Spring Maryland. Alex Pacheco took photos of the chimps and monkeys that were at the lab and turned them over to the police. The researcher, Dr. Edward Taub, was arrested and the lab was shut down. Eventually, this became the first animal-testing case to be heard by the United States Supreme Court. PETA gained national attention (and notoriety) and the AR movement took off in earnest from that point on. The decade of the 60’s and all that it stood for was still very much alive when the Animal Rights movement was formed. Many people of the 60’s generation were involved in AR…it became their next big cause to fight for. It was a time of discovery in a sense. The curtains were being pulled aside for the first time on nightmares that had long existed for animals. We started to see what was going on behind the scenes in animal laboratories. We learned of the horrors of the fur trade, animals used in entertainment, hunting (and canned hunts), puppy mills and kill shelters, animals used for food, the dairy industry, the effects of eating animals on our health, animals and the legal system, animals used for clothing, dissection…and on and on. We felt that since we had documentation, videos and testimonies to “prove” it, that all we had to do was go public and present all this newly uncovered information and everyone would be appalled and irate. Finally, great changes would start to occur right away. We had the drive and the passion and the intellect to affect the sorely needed change. It was even said that after Civil Rights and Women’s Rights, it was now time for Animal Rights, and this could quite possibly be the greatest upheaval of all, since so much of society was built upon the backs of animals. But, things didn’t go quite so smoothly, or quite as fast as we would have liked. On a personal level, I felt I needed to be more involved in Animal Rights on a daily basis and so, in 1989, I decided to start WARM (Woodstock Animal Rights Movement). I placed my first graphic photo ad in the Woodstock Times (a picture of two terrified monkeys in a tight embrace, huddling in the back of a small cage with terror and fear in their eyes) and announced the first meeting of WARM. To my surprise, about thirty people showed up, and we were off to a good start! I began to hold monthly meetings at the Woodstock Town Hall. Attendance varied from ten to thirty people. I used to bring in photocopies to hand out of recent Animal Rights news, local topics of interest, and suggestions and ideas for campaigns that we could do as a group. We also formed a smaller core group that met separately. This core group broke off into special interest areas: lab testing and cruelty free products, companion animals, hunting, food, entertainment, etc. Each group was to be self directed and come up with its own campaigns. At the time, there was a feeling of unity within the grassroots community. Perhaps it was because the movement was so new and we were all running full steam ahead for the same goals. And there was also a sense of these groups “belonging” to the larger picture and agendas of the national groups. We were their helpers in a sense. They had the larger memberships and the funds and the exposure, and came up with many of the ideas for campaigns. We would then join in and do our part, along with our own separate issues. As a grassroots group, we were involved in many exciting pursuits and projects. From the start, we began to publish and mail out a newsletter (no email back then) telling of our local campaigns and projects and showing what people could do and how to help. We held public lectures on Animal Rights at our local Town Hall. We were honored to have Ingrid Newkirk visit us and give a presentation to a standing room only crowd (hecklers and all). In 1990, Howard Lyman came to Woodstock and spoke about the Beyond Beef campaign. He warned us of a disease we had never heard of called “Mad Cow”, or CJD. Other WARM activities included holding hunting demos every year, hosting local Thanksgiving dinners, organizing a Spay/Neuter benefit, and exposing the cruelty involved in school dissection. One of the special highlights for us was meeting River Phoenix when he was visiting Woodstock with his band. He agreed to do a benefit for WARM at a local night-club! WARM was very active in pushing for change in legislation. We worked on an anti leg-hold trap legislation and collected petitions for our local legislatures to ban the current leg trap bills that were coming up in session. We were also helpful in assisting other groups in persuading former Governor Mario Cuomo to veto the “Hunting Bear with Dogs” bill. Some members of WARM went to Hegins Pennsylvania to protest and disrupt the infamous yearly gruesome Hegins Pigeon Shoot. A few of our members were arrested there but we put up bail and they all returned home safely. Many of us also went to Washington, DC for the great 1990 March for Animals (and then the follow up and lesser March in 1996). The first march drew about 50,000 people and was a great show of strength. I attended all of the national Animal Rights conferences that I could get to and was thrilled to meet all the other activists and leaders and was inspired beyond my wildest dreams. In 1991, my dream was realized, and I opened The WARM (Woodstock Animal Rights Movement) Store here in Woodstock. To the best of my knowledge, this was one of the very first “Cruelty-free, Vegan, Socially Conscious, Environmentally Friendly” store in the United States. At first we relied heavily on PETA’s Cruelty-Free shopping guide to help us find products for the store. We also attended trade shows and picked up things that were appropriate to sell. The term “cruelty-free” was quite new back then, and even health food stores were not featuring or promoting cruelty-free products. Most personal care items were not yet labeled to show if they were tested on animals or if they contained animal ingredients. In the book/library section of the store, we had a TV and video running all day of John Robbins’ video “Diet for a New America” alternating with Dr. Michael Klaper’s video entitled “Vegan Nutrition”. I received permission from Dr. Klaper to give out audio cassette copies of three or four of his great “bootleg” lectures at the time. Eventually we must have given out over a thousand copies of the “Vegan Nutrition” lecture and hundreds of copies of his other lectures about Veganism and ethics and the environment. He was certainly one of the most passionate, inspiring, and compassionate speakers of all time, and he was the prime reason I became so interested in the nutritional importance of veganism, not for just ethical or animal reasons, and this has remained with me ever since. All of the above facts were disclosed by John Robbins in “Diet For A New America” twenty-five years ago. The only thing missing then was the specific connection to greenhouse gases, an idea that is finally getting the public’s attention. After a few years in our first location, the very small WARM Store needed a new home and we moved to a larger building close to the center of town. The store remained open until 1999. Later, I was asked to serve on the newly revised and energized national board of Earth Save. During the first few months, the board members were asked to come up with ideas that would help Earth Save gain more national recognition. I brought up the idea of the “MeatFreeZone”. This was something I had been thinking about for a few years and was saving up for the right moment. The Earth Save board liked the idea but decided not go ahead with it. So, with the help of my then partner Jerry Cook, we proceeded with the campaign on our own. Part of our mission was to offer MeatFreeZone signs to people for their homes and workplaces and to have the logo be a symbol of their lifestyle and movement to be identified with. We also aimed to have the signs be displayed in the windows and interiors of all Vegetarian and Vegan restaurants. Again, to be a recognizable symbol of this lifestyle and all it represents. The MeatFreeZone website was meant to be more of a nutritional site as opposed to an Animal Rights site. I compiled a very comprehensive list of articles called “Health and Nutrition” for the site. It goes from A-Z and includes tons of articles about Vegan diets, heart disease, cancer, diabetes, dairy, fats, and most major diseases and health issues I could find. Most of the articles were written by plant-based medical doctors (such as Dr. John McDougall, Dr. Joel Fuhrman, Dr. Michael Klaper, Dr. Esselstyne, and Dr. Barnard) and many plant based nutritionists such as Brenda Davis. I’ve been told that the site has become an invaluable resource of information for many people. A few years ago, I attended a school for Holistic Health Counseling in NYC. Even though the school wasn’t Vegan, my goal was to become a Vegan Lifestyle Coach and focus on that aspect with people…keeping this somewhat separate from the animal and environmental aspects of Veganism (at least on the surface). This has been a slow start but I’m optimistic and hopeful to see Veganism increasing. It’s obvious that it has become much more mainstream than when I first got involved over 20 years ago. To learn more about what I’m up to these days as a Vegan Lifestyle Coach and Animal Rights Activist, you can check out VeganLifestyleCoach.com.